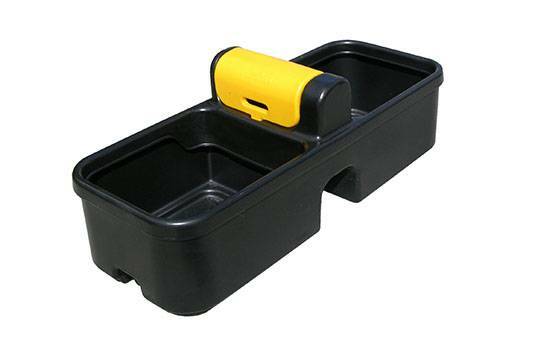 The 30 gallon (136L) premium water trough has JFC’s signature shiny black colour with a yellow, easy-to-access service lid. The trough is fitted with a JFC fast-fill float valve which comes with a 3/4 inch connection and is capable of delivering up to 95L/min (3 bar pressure). The 90 gallon (400L) premium water trough has JFC’s signature shiny black colour with a yellow, easy-to-access service lid. The trough is fitted with a JFC fast-fill float valve which comes with a 3/4 inch connection and is capable of delivering up to 95L/min (3 bar pressure).